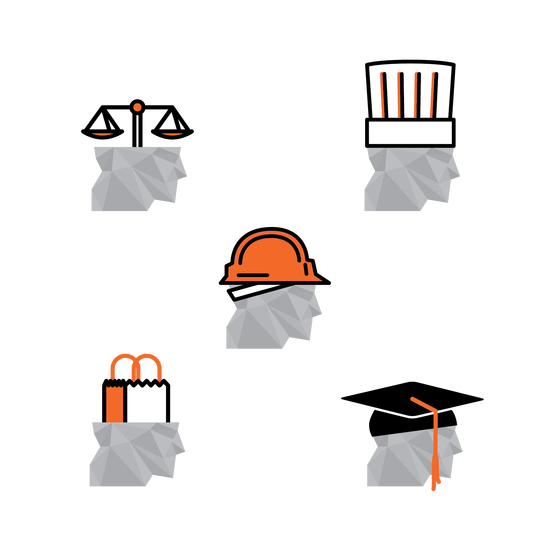 LCI Workers’ Comp differentiates itself from the competition with it robust membership arm, LCIA, which provides a whole host of business resources to their policyholders. 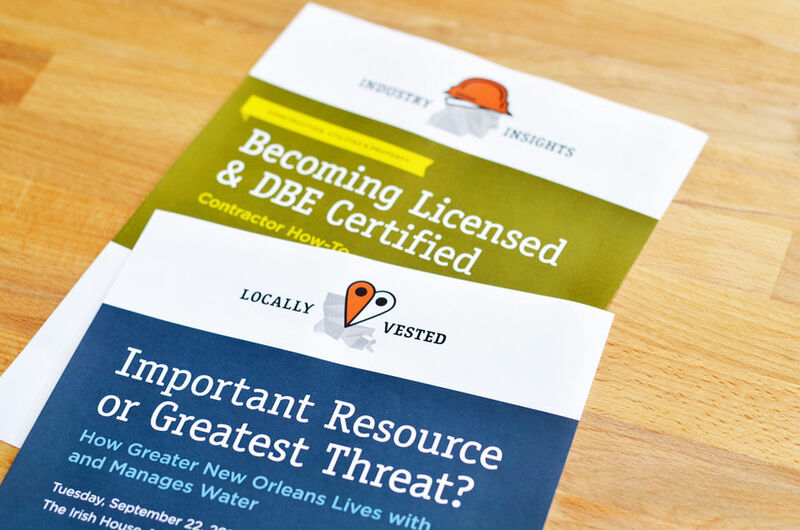 When LCIA launched three new seminar series designed to educate and empower business owners, they brought in Southpaw to create unique, but unified identities for each individual program: Industry Insights, Locally Vested, and Tune In. 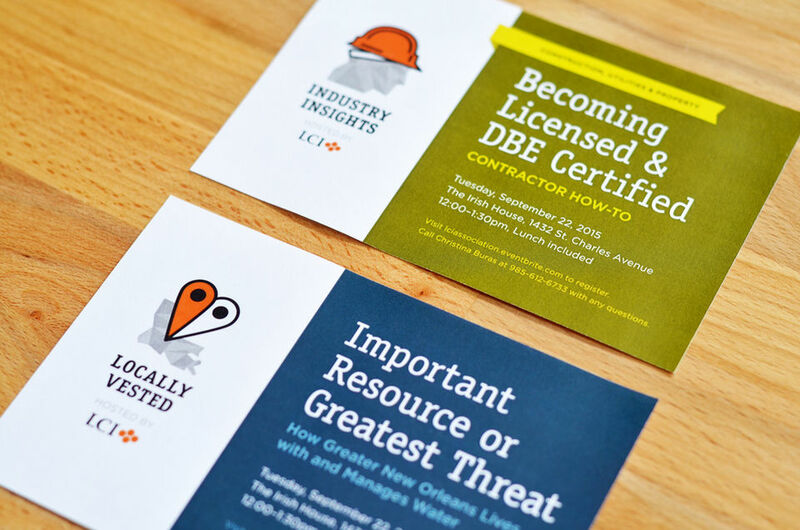 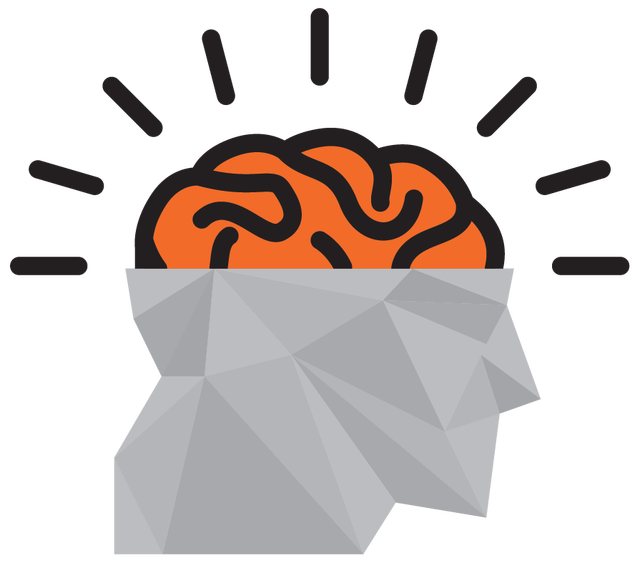 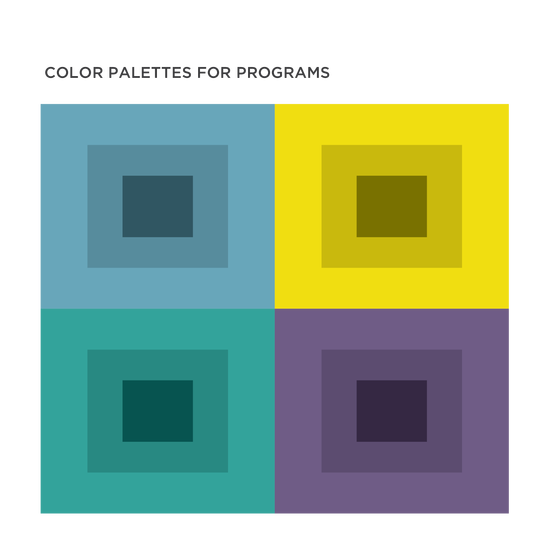 Each program has it's own distinct logo and color palette, but all three are united through an orange accent color—from the LCI parent brand—as well as a shared font family. 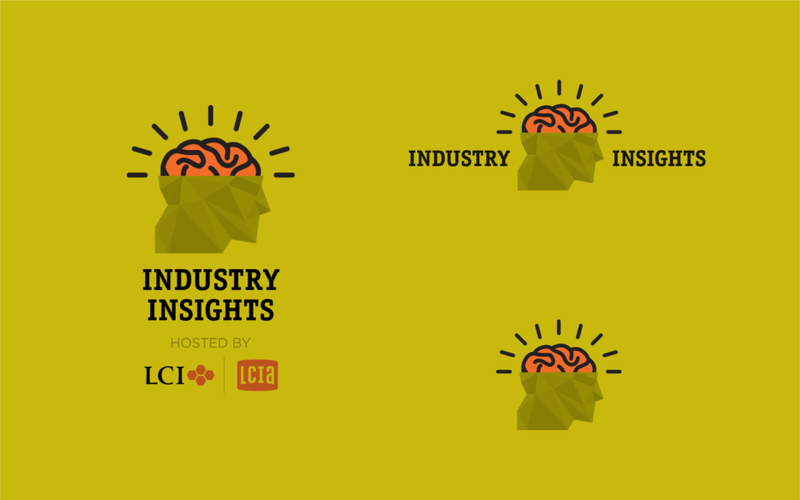 Industry Insights is a sector-specific speaker series that connects businesses to resources for growth and continuing education. 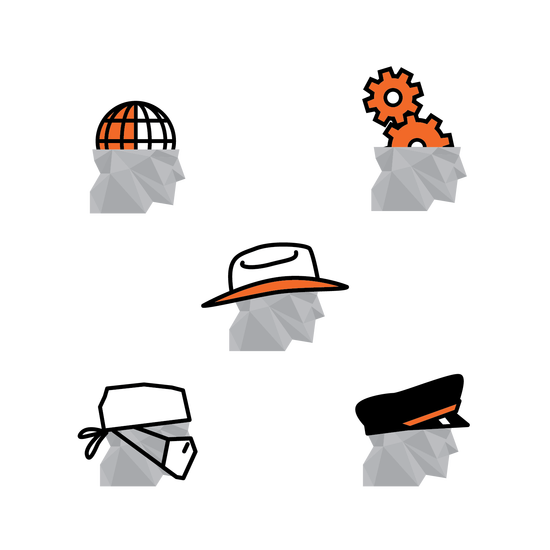 Since the programming for Industry Insights covers 10 unique business sectors, we designed the logo icon to literally change "hats" depending on the topic. 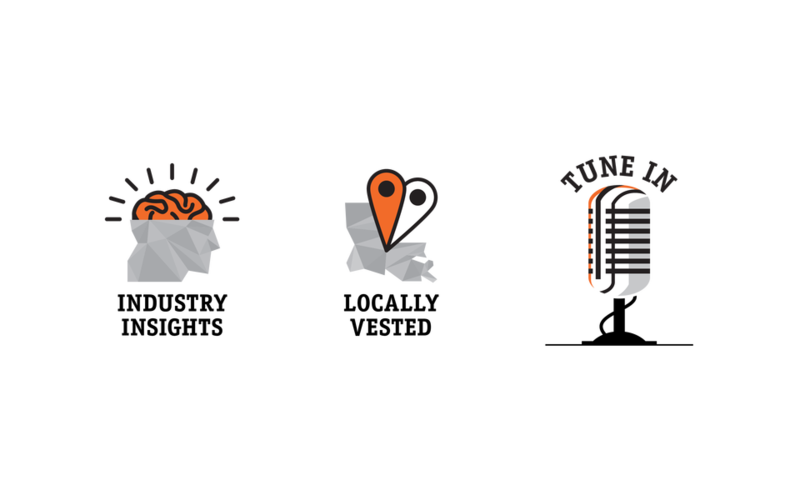 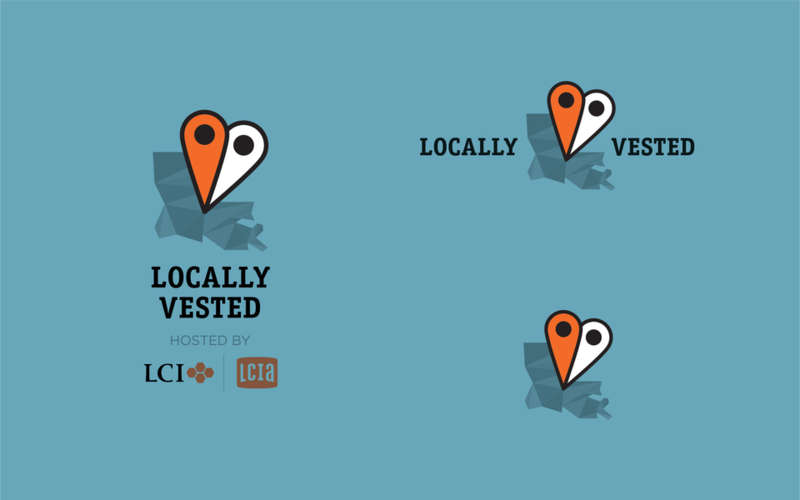 Locally Vested is a moderated live forum hosted in different cities across Louisiana to discuss the unique issues affecting our state’s communities. 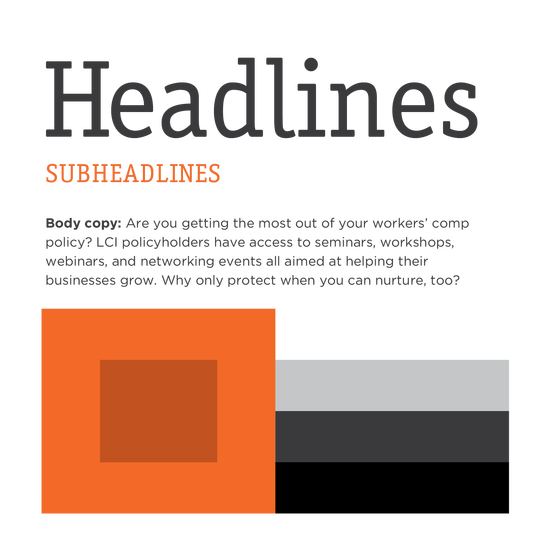 Supporting print templates allow LCIA to quickly roll-out promotional materials for each event. 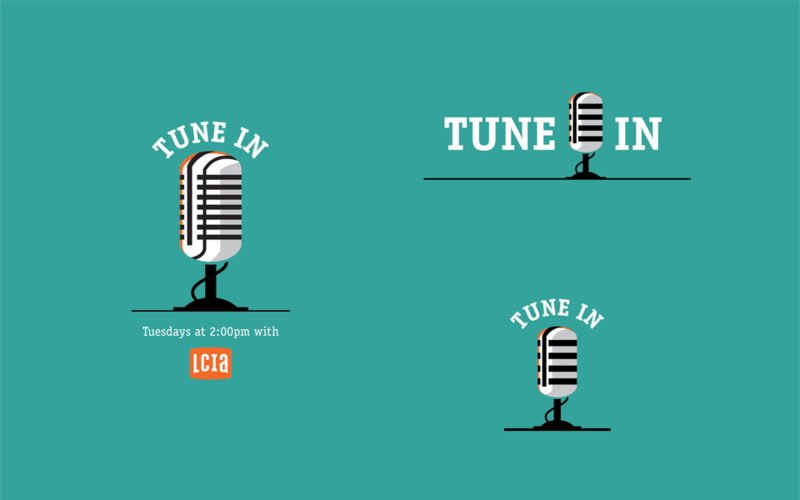 Tune In is weekly webinar covering news and events in Louisiana as well as spotlighting a business resource.